Apple season has arrived! 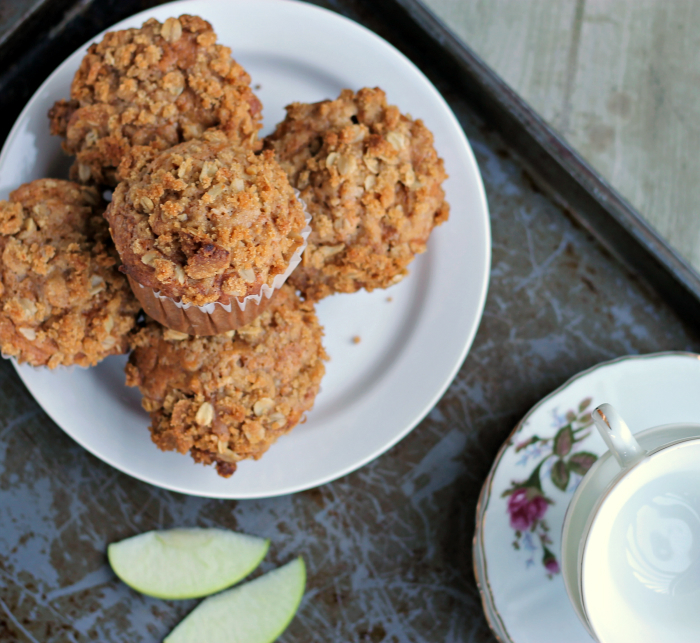 These sour cream apple muffins are a perfect way to feature apples. You know what they say,right. An apple a day keeps the doctor away. Yep, I do love my apples. When fall rolls around I find myself craving apples. Usually I love to munch on an apple for breakfast. I think it is a great way to start out my day. And who knows maybe that saying “an apple a day keeps the doctor away” is really true. You won’t find me sick too often… maybe a cold once every other year or so. Not too bad. Moreover I love baking with apples. There are so many recipes that I love with apples. 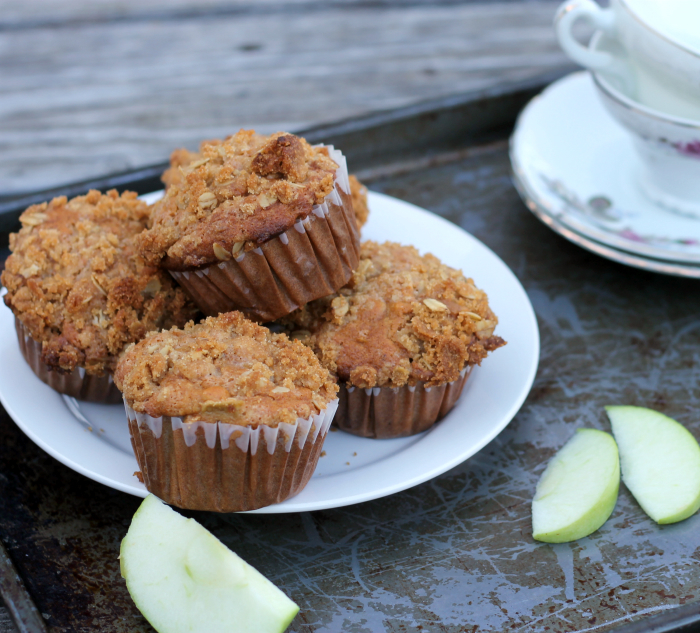 As these sour cream apple muffins, they are great for the morning as a quick breakfast. I love the blend of sour cream and apples; I find it a great combination. My sister gave me a recipe for sour cream apple pie that is one my family’s favorite apple pie recipes. Normally I bake with Macintosh apples, but this time around I couldn’t find them in the store, so I used granny smith apples in this recipe. I think it is the first time for me and granny smith to be baking together. They work very nicely in the recipe and I think that it is the first of many recipes that I will be using granny smith. What is your favorite apple? Do you like to bake with them or do you use them in savory dishes? 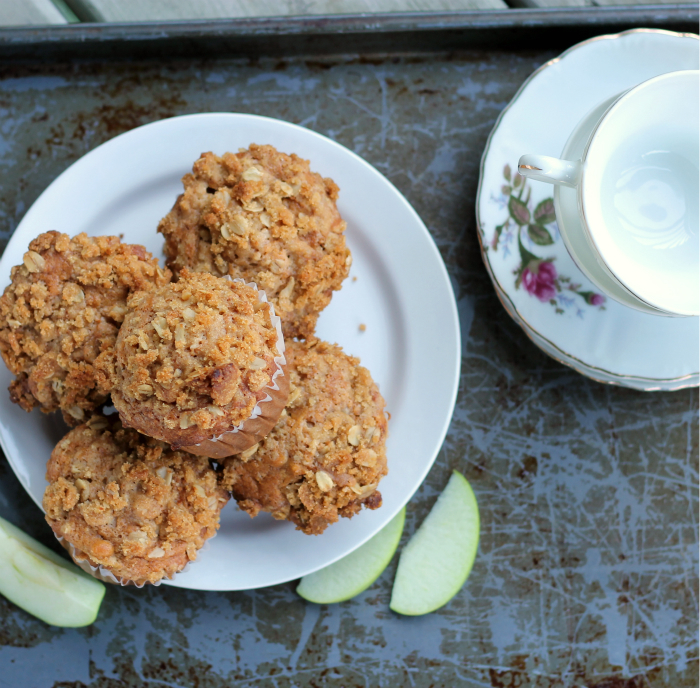 Hope you try some apple recipes this fall! Sift together dry ingredients in a medium bowl. Add the apples and toss together with the dry ingredients. In another bowl mix together the egg, milk, sour cream, oil, and vanilla. Add the wet ingredients to the dry ingredients and mix just until blended. Next mix the topping in a small bowl. Mix the oats, flour, sugar, cinnamon together. Cut in the butter using a fork or your fingers, until the mixer is mixed together. Spoon the muffin mixture into the prepared muffin tins, so they are about 3/4 of the way full. Sprinkle a small amount of the topping on top of each muffin. Slightly pressing the topping down into the batter with your fingertips. Bake in a preheated 375 oven for 17 to 18 minutes or until they are lightly browned. Thanks for the recipe:) Looks really good. Is there anyway we can substitute yogurt instead of sour cream? Such a perfect fall sweet! The oaty crumble topping looks particularly delicious. Hi Dawn, my favorite apple is the honey crisp. 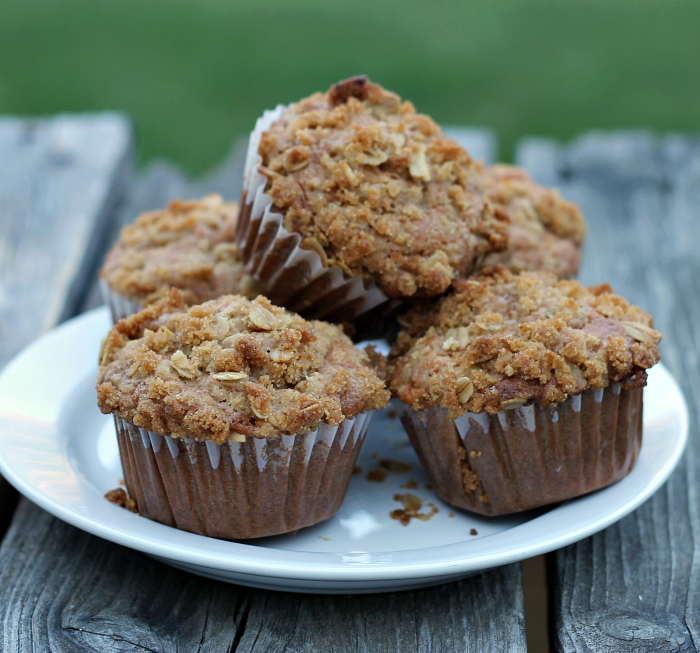 Love this muffin recipe with the crumbly topping.